Need A Nap? Why Are You So Sleepy After Lunch? After lunch, do you have this insatiable feeling of needing to nap? If you do, you will probably nod off staring at your computer while trying to look like you are doing work. You may even try to crawl into the dark cavernous depths under your work desk. Among the thoughts of counting sheep, you should be thinking about what you had for lunch. Foods Causing You to Nap? Let’s say a typical work desk lunch is a soda, chips/pretzels, and a sandwich. That combination is a recipe for a post lunch nap. Why? Glucose. Sugar in the soda, carbohydrates (carbs) from potatoes, and carbs from sandwich bread all add up to a big helping of glucose. Do you drink diet soda?The diet soda may be harmful to your weight goals and your cardiovascular health. Diet soda has been linked to unfavorable studies causing: increased stroke and dementia and no weight loss. Anyways, a glucose filled meal inhibits or decreases a brain signaling structure called orexin. Orexin plays a role in sleep/wake cycle as well as feeding behavior and reward system. People with chronically low levels of orexin can suffer from narcolepsy. Narcolepsy causes extreme daytime drowsiness. So, if you eat a pasta filled lunch (carbs-glucose) you’ll feel sleepy. On the other hand, protein increases orexin. So a lunch of vegetables and protein will decrease the likelihood you will “nod off” after lunch. Not only will you feel more awake; you are more likely to be active. If you are stuck at work, at least you’ll be more productive. I’m not saying your lunch is the only reason why you are sleepy. You may have watched a creepy episode of The Walking Dead. Who knows? Your circadian rhythm, amount of nighttime and daytime light, and food quality are all factors of general drowsiness during the day. Reconsider your lunch before taking drastic measures to stay awake. http://www.corebirmingham.com/wp-content/uploads/2017/06/online-blog.png 600 753 Dr. Garrett Chow http://www.corebirmingham.com/wp-content/uploads/2016/11/core-chiropractic-logo-1-1030x103.png Dr. Garrett Chow2017-06-05 19:04:372018-03-01 17:01:32Need A Nap? 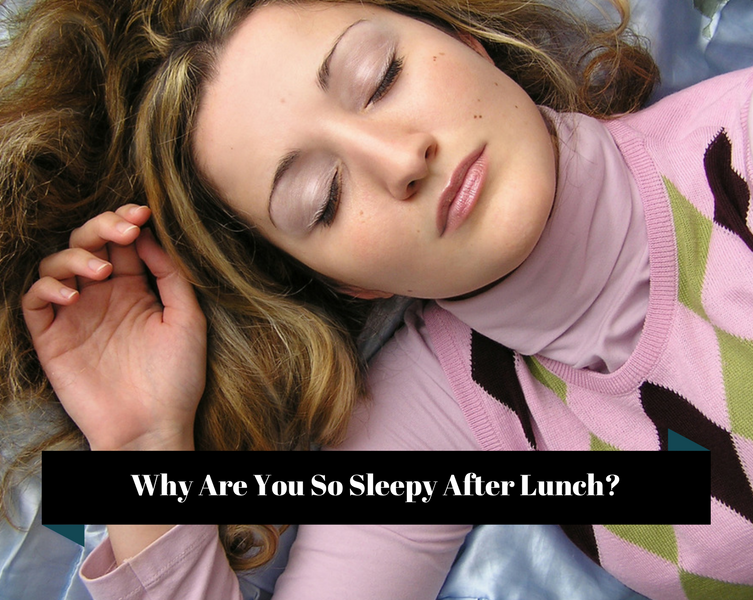 Why Are You So Sleepy After Lunch?